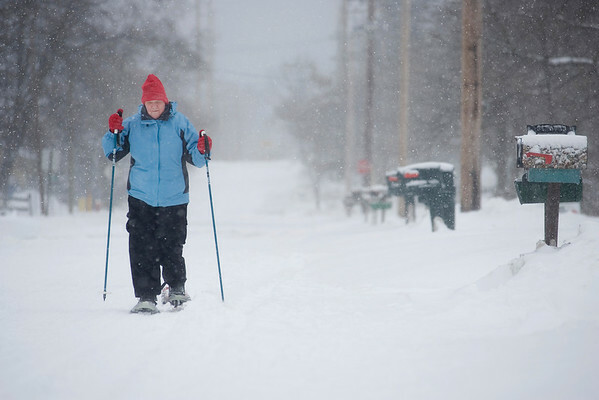 Margaret Patchin, of Traverse City, uses snow shoes and poles to walk along Barlow Street on Sunday as she returns home after having breakfast with a group at Brady's Bar in downtown Traverse City. "Church got cancelled but there are some of us who don't like to cancel the breakfast afterward," Patchin said. "This gives me a chance to walk it off," Patchin explained.